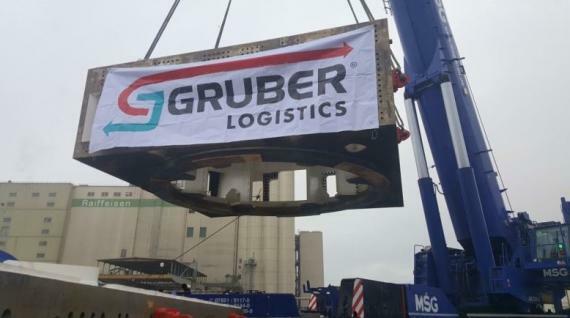 The GRUBER Logistics business unit, 'Project, Air and Ocean' (PAO) have handled 2 cutter heads and 2 main drives totalling 504tns / 375cbm for their client, Herrenknecht in Kehl, Germany. 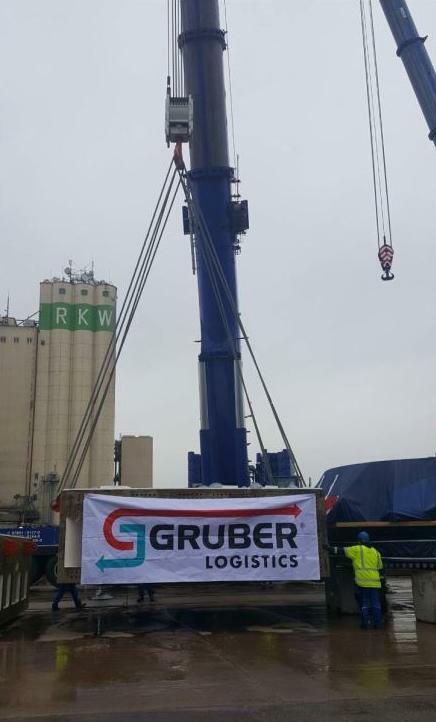 The GRUBER team in Bremen handled the pre-carriage by barge from Kehl to Antwerp with MS. 'Wilnia'. 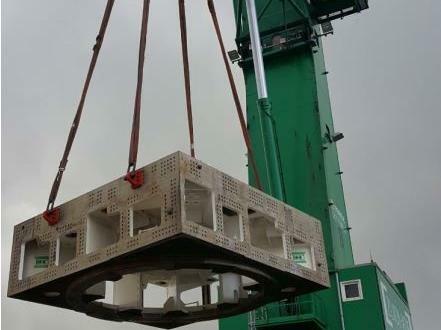 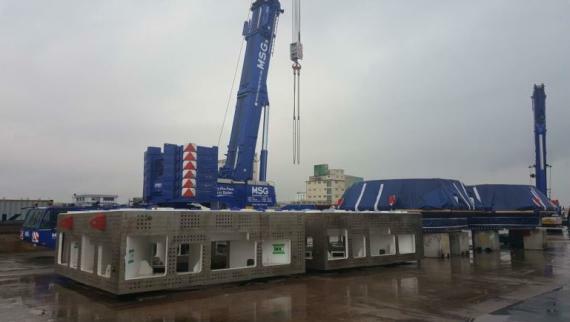 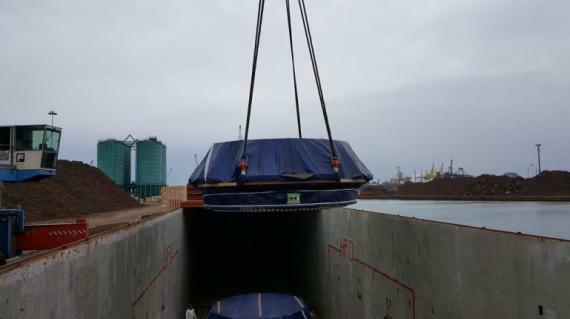 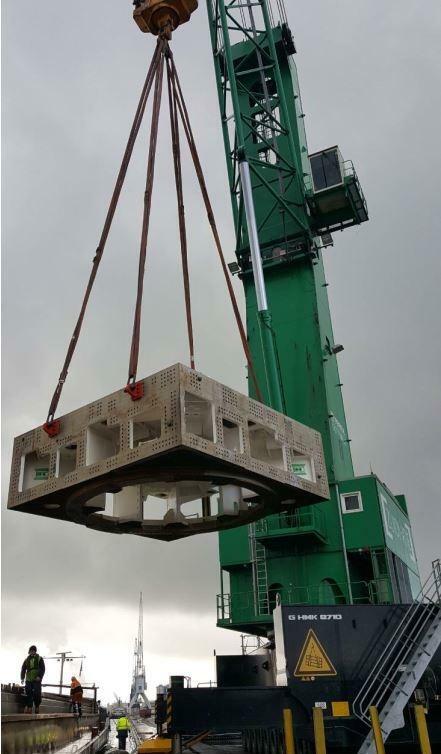 From there, the 4 heavy loads were loaded via quay to the part-charter vessel 'Schillplate' and shipped to Porto Marghera, Italy. 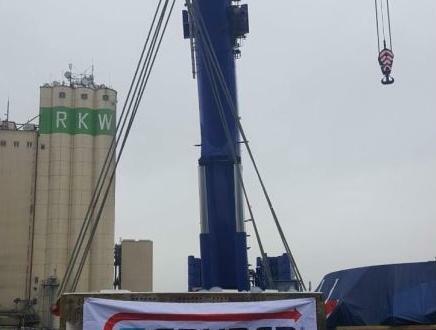 GRUBER Bremen's Project Managers, Patrick Sommer and Ann-Kathrin Hoyer, were an active part of all loading and discharging operations to ensure that all steps were completed to the client's full satisfaction. 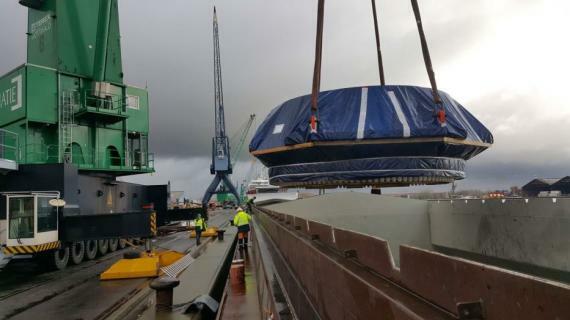 After arrival in Porto Marghera, the 4 pieces were placed on stools before they were taken over by GRUBER's colleagues from Ora in Italy who delivered them safely to their final destination in Mules. 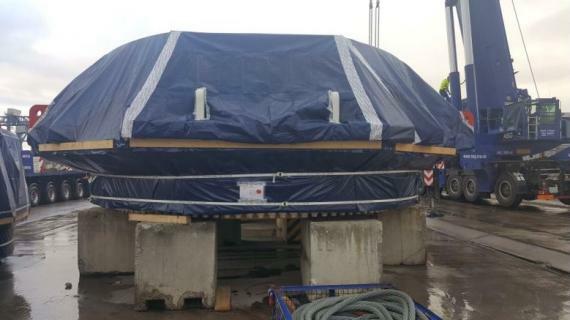 The cutter heads and main drives are parts of a Herrenknecht tunnel boring machine destined for the Brenner Base Tunnel. 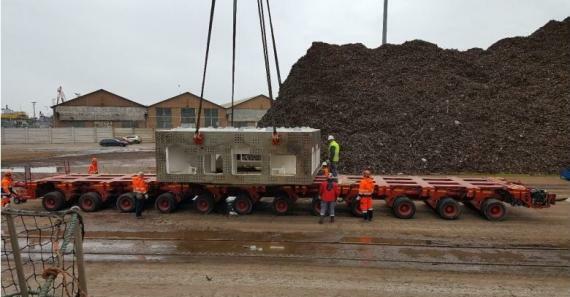 The final customer is BBT Company who are presently building the longest underground railway tunnel underneath the Brenner. 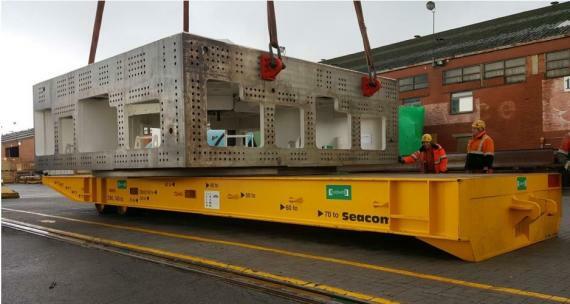 Please click here for a video of the cargo on its journey and see the gallery below for photos.